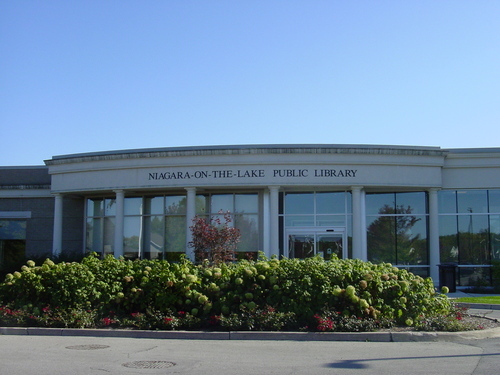 On November 17, 1977, the Niagara-on-the-Lake Public Library gained formal recognition as the first circulating library to be established in Upper Canada. The Honorable Robert Welch, the Minister of Culture and Recreation, unveiled a plaque at the front of the Library's Court House location on picturesque Queen Street in the Old Town. "Sensible how much we are at a loss in this new and remote country for every kind of knowledge," the subscribers resolved, "and convinced that nothing amongst us and our offspring, then a library, supported by subscription in this town, we, whose names are hereunto subscribed hereby associate ourselves together for that purpose, and promise to pay annually a sum not exceeding four dollars to be laid out on books as agreed upon by a majority of votes at a yearly meeting". Heading the subscription list, and probably instrumental in the library's organization, was Andrew Heron (1765-1848), a merchant, land speculator and resident in Niagara since 1785.